A network router is a network device with interfaces in multiple networks whose task is to copy packets from one network to another. Routers operate at Layer 3 of the OSI Model, the Network Layer. This is in contrast to switches, which operate at Layer 2 of the OSI Model, the Data-Link Layer. A network router will typically utilize one or more routing protocols, such as RIP, OSPF, or BGP. Routers also accept routes which are configured manually by a network administrator. Those routes are called static routes. The router will use this information to create a routing table. The network router will then use its routing table to make intelligent decisions about which packets to copy to which of its interfaces. This process is known as routing. 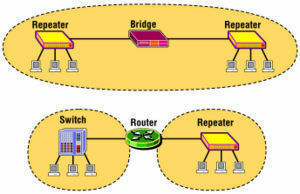 Routers are available with many types of interfaces, such as Ethernet and DSL. Wireless routers support wireless interfaces, such as 802.11 (Wi-Fi). Routing software makes it possible to build a fully functional router out of a normal computer. how can i change the password of wifi ? Where do i get my wireless network name and key so, i can use my laptop? You can see them in your router’s wireless settings or if you have another computer in which wireless already works you should be able to scoop it from its settings. 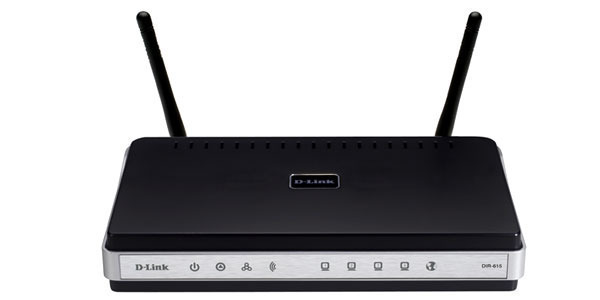 To access wireless settings of your router you have to connect to it through your browser, usually at 192.168.1.1. You’ll need your router password. If you never set one it should be the default (for linksys username is blank and password is “admin”, check the manuals for others). 268 queries in 0.502 seconds.